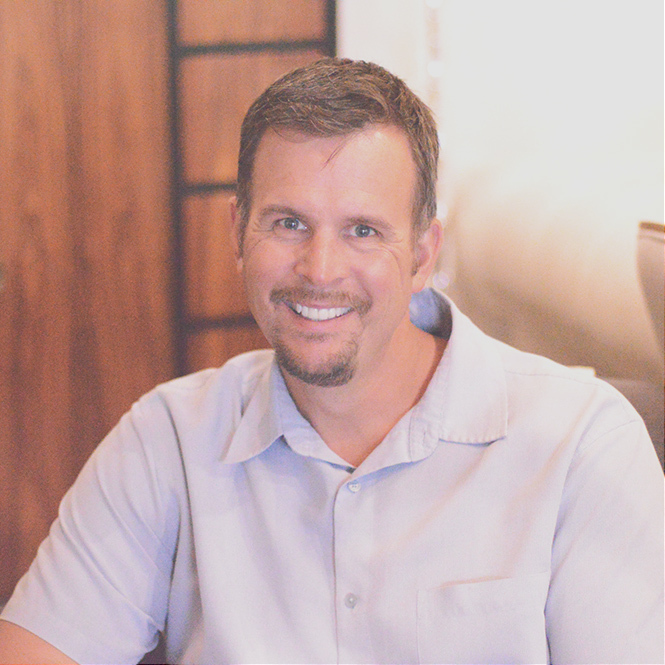 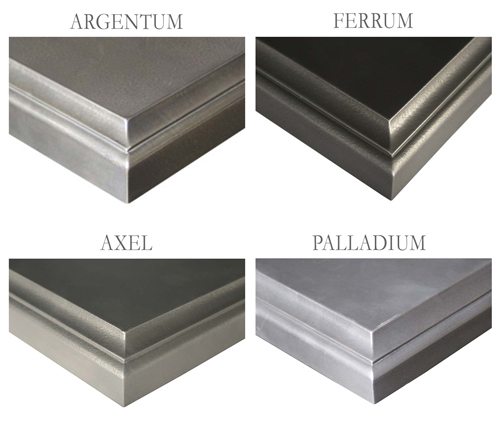 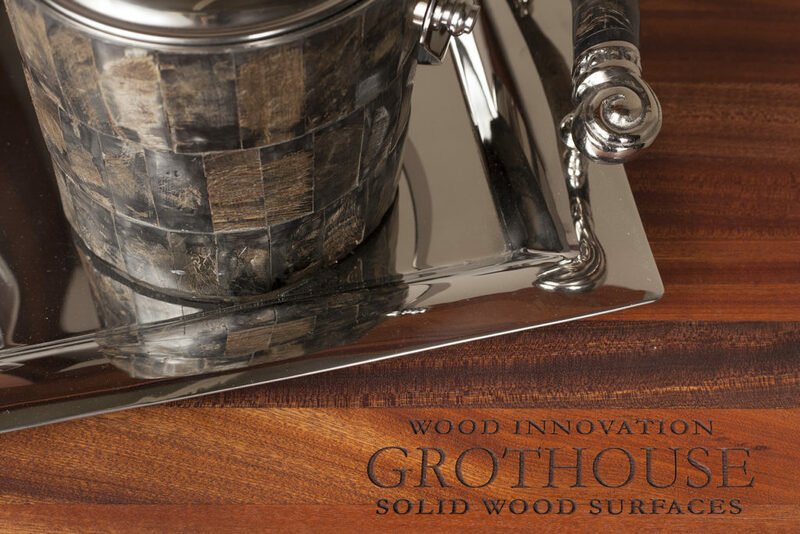 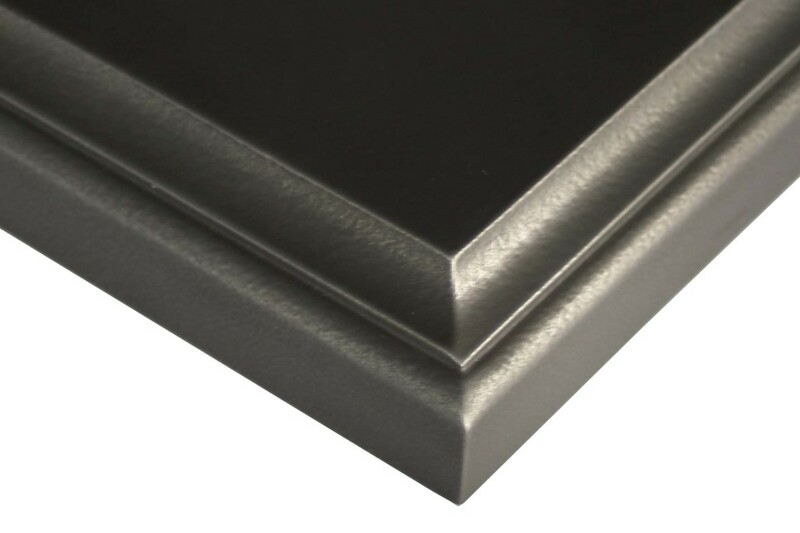 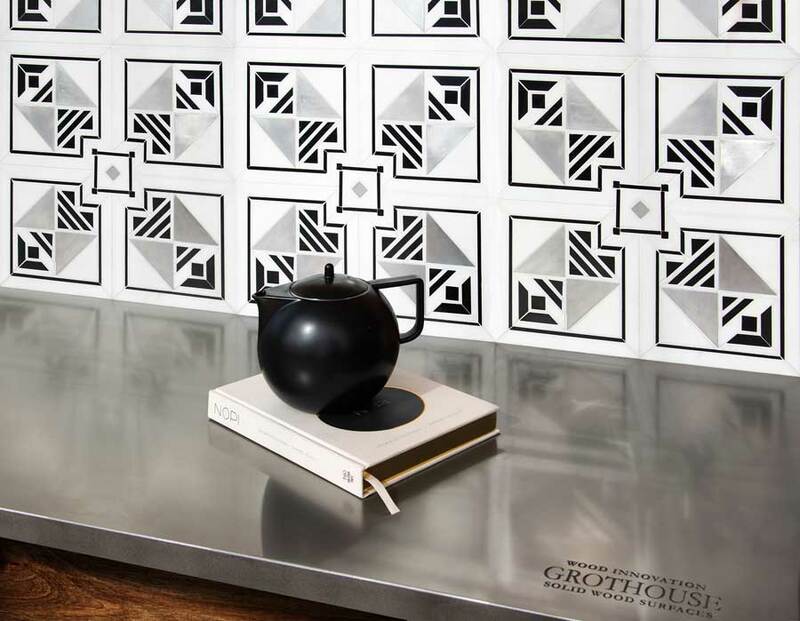 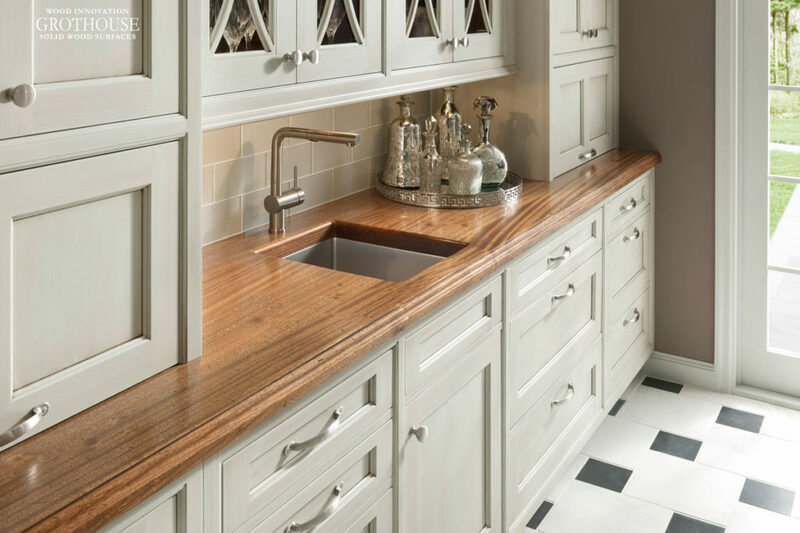 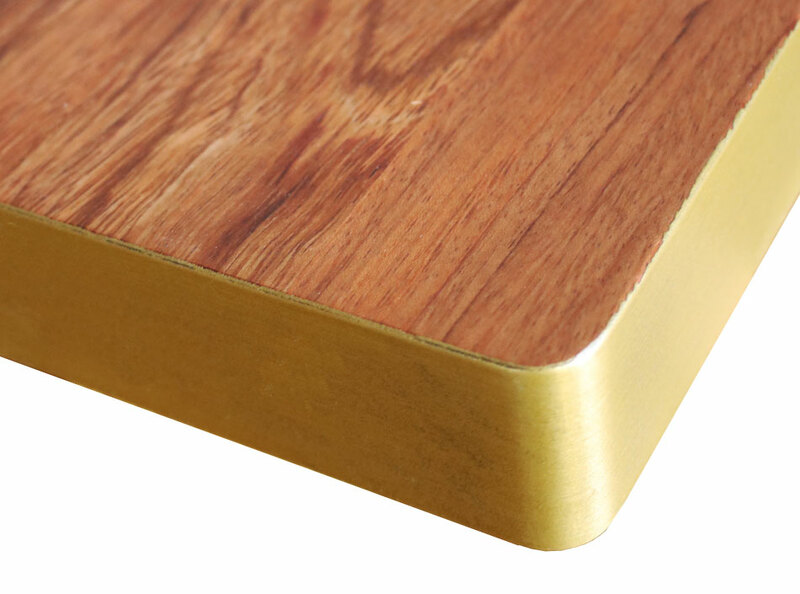 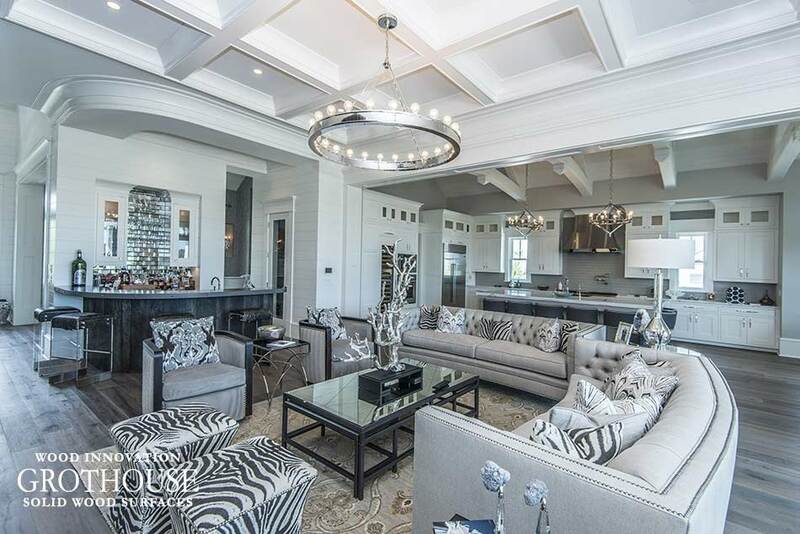 Some of the industry’s best have designed Grothouse custom counters to complement decorative backsplashes to create unique and outstanding designs. 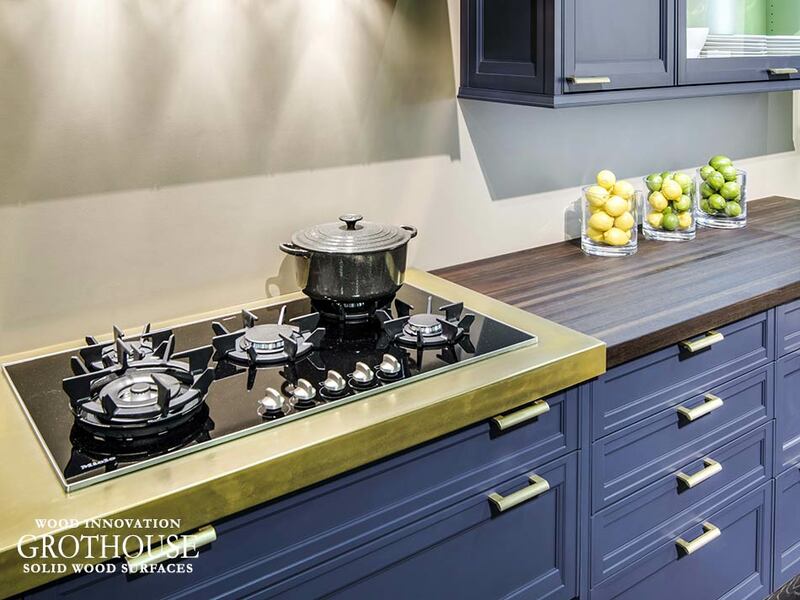 Whether it be a solid wood surface or an Anvil™ metal countertop, it can be designed to complement even the most drastic backsplash. 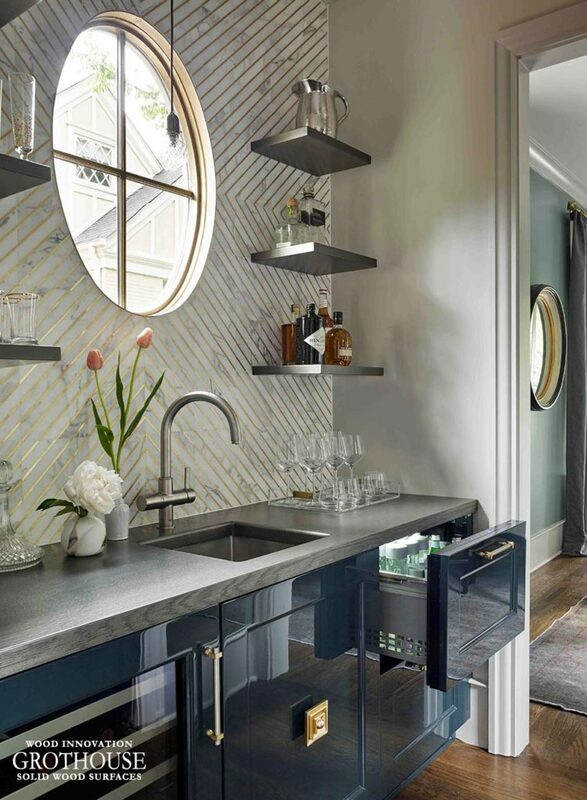 Matthew Quinn designed House Beautiful’s Kitchen of the Year 2016, which included this wet bar. 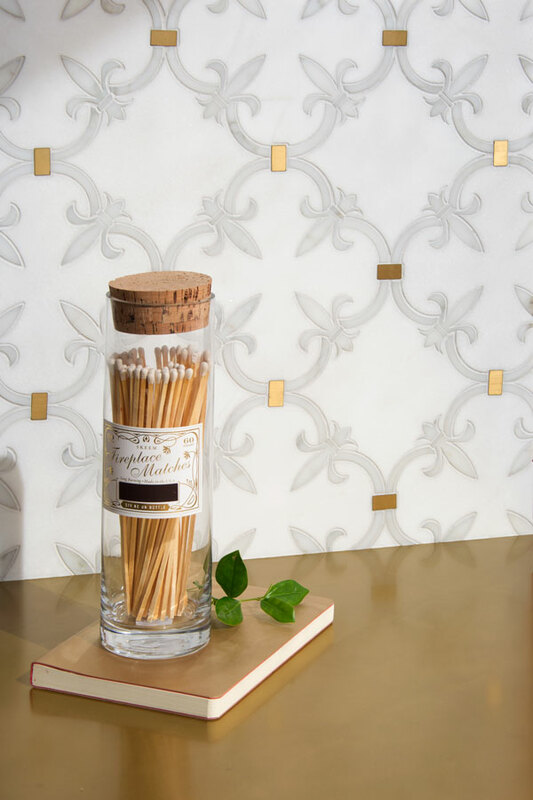 Quinn covered the wall in gold-striped Calacatta marble tiles by AKDO arranged in a sunburst pattern around the window. 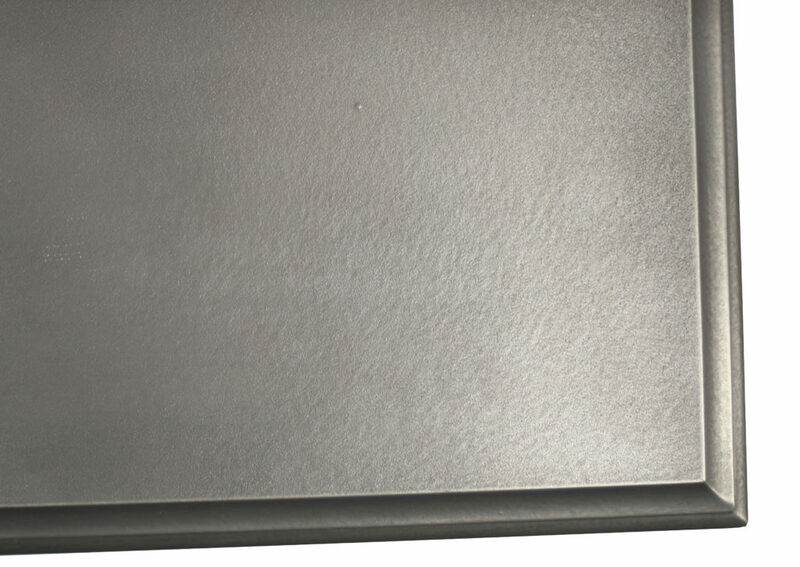 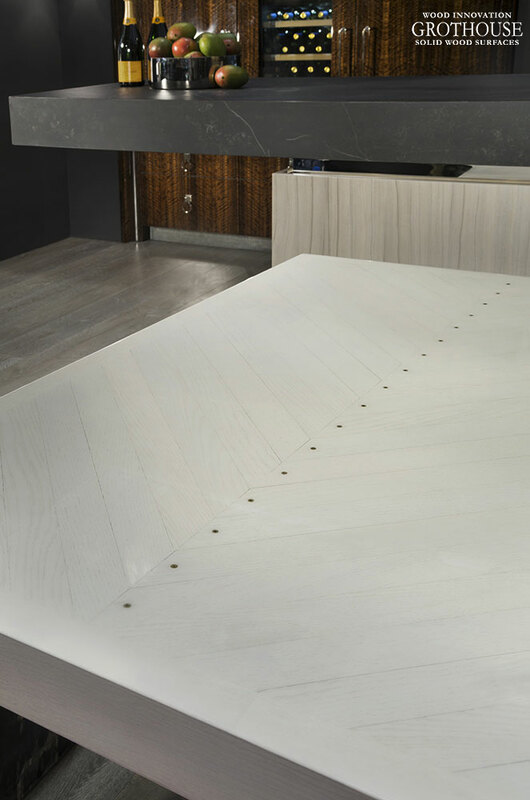 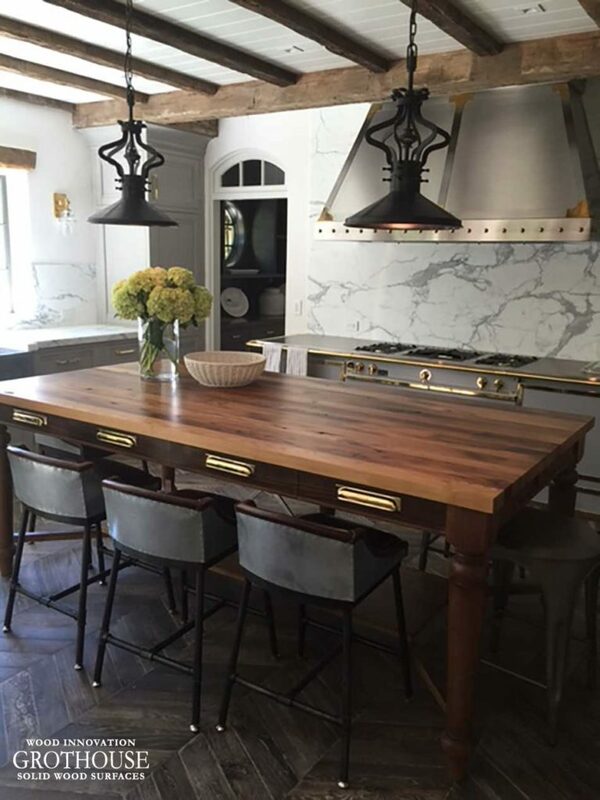 A White Oak Rift Sawn Blank with Anvil™ Argentum Metal Finish bar top was designed to bring out the gray tones in the marble. 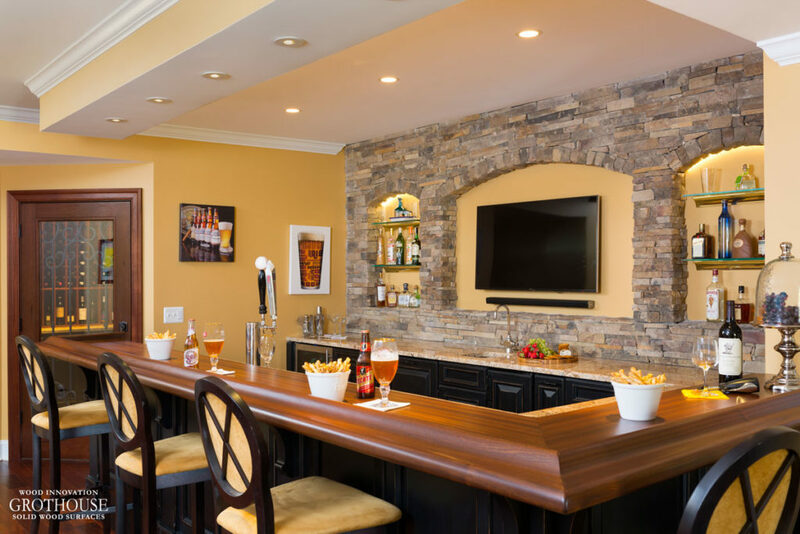 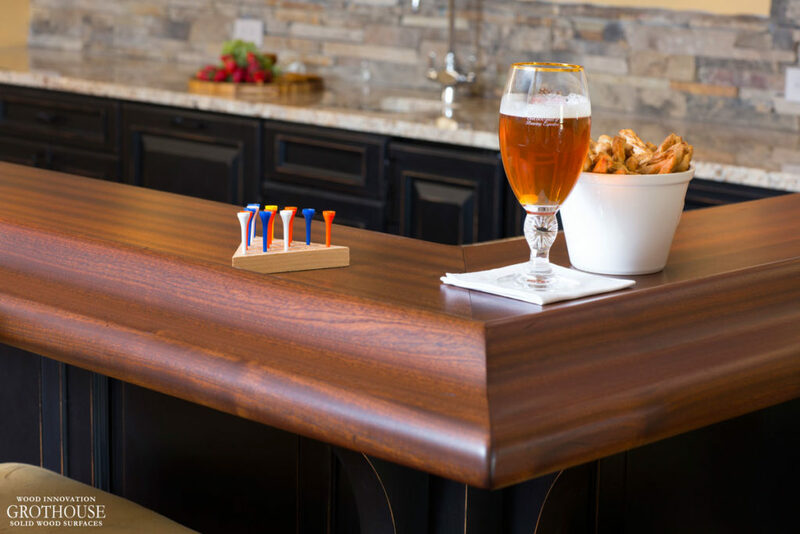 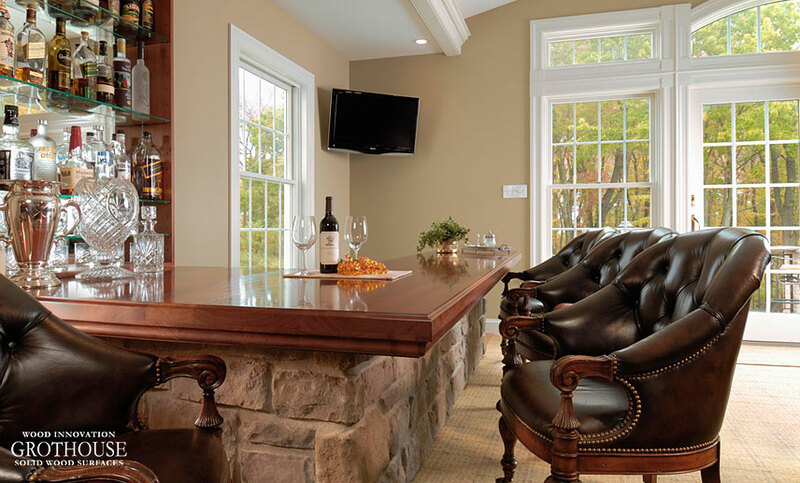 Also designed for this space were custom floating shelves to match the bar top. 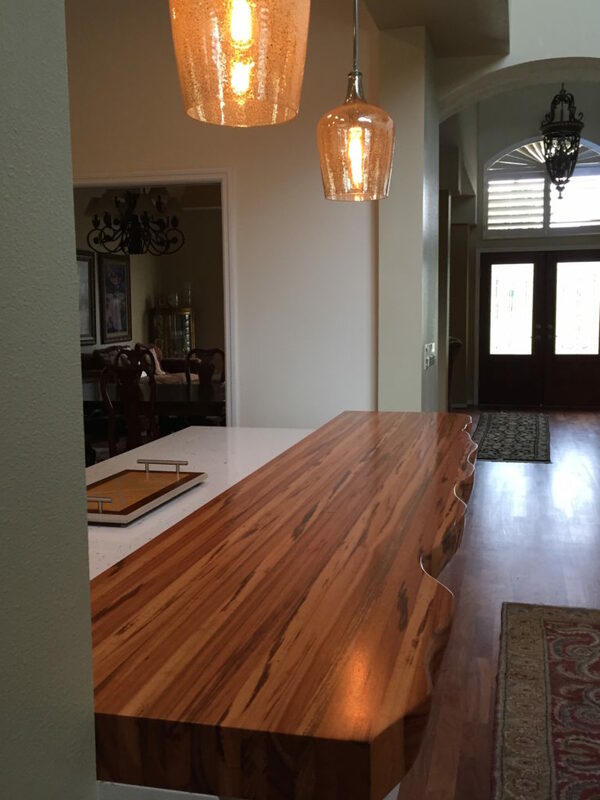 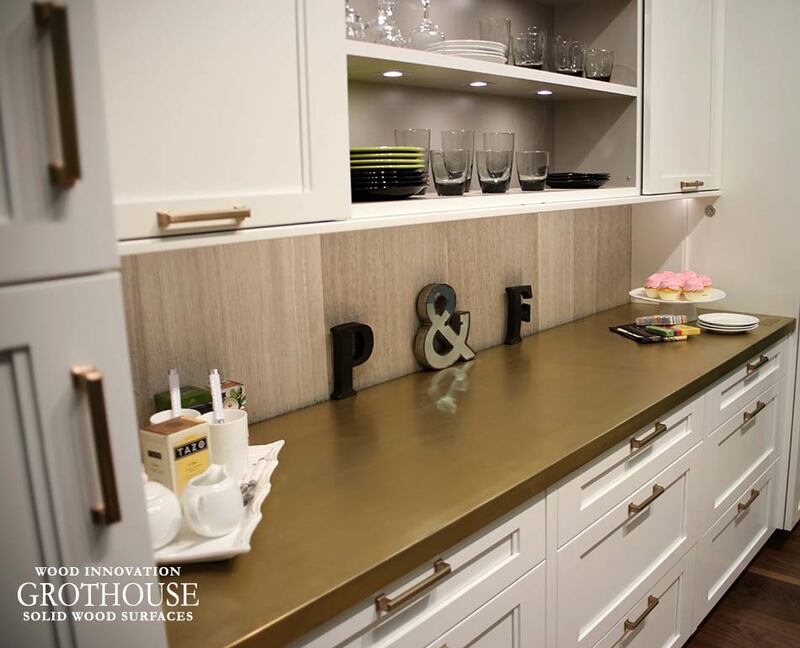 Peruvian Walnut Countertop and Shelves Complement a Wall Covered in mica shavings. 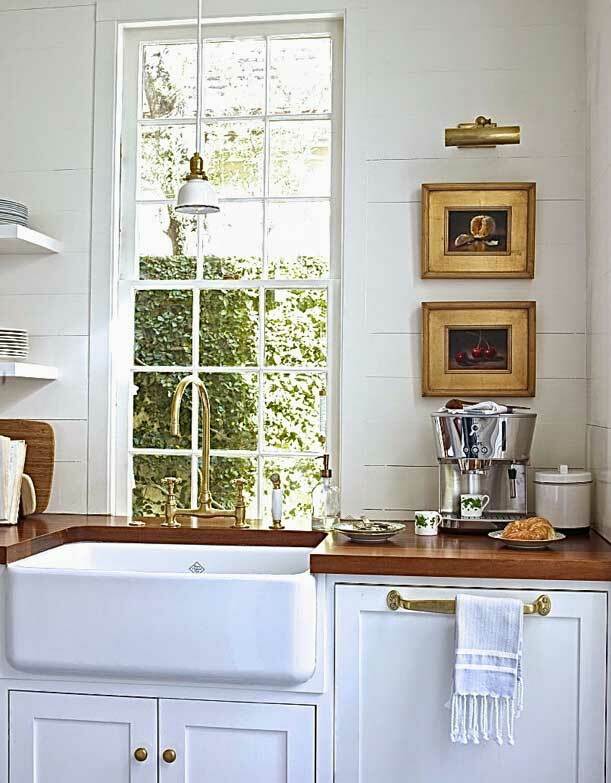 Photography: Nikki Ritcher for House Beautiful. 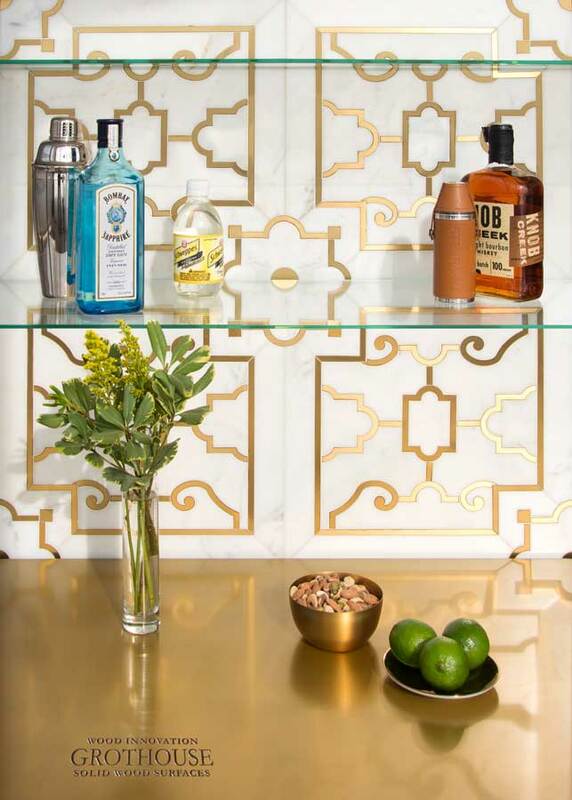 A Peruvian Walnut countertop and matching shelves stand out against Phillip Jeffrie’s Quartz wall covering made of mica shavings. 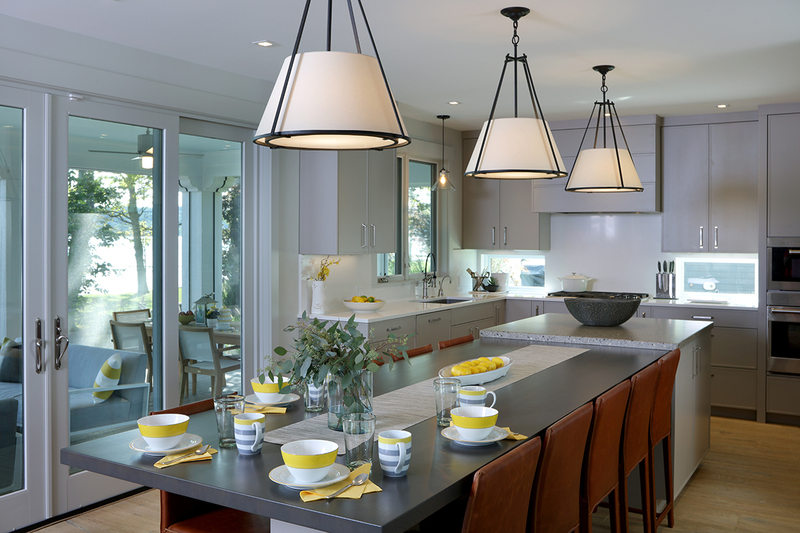 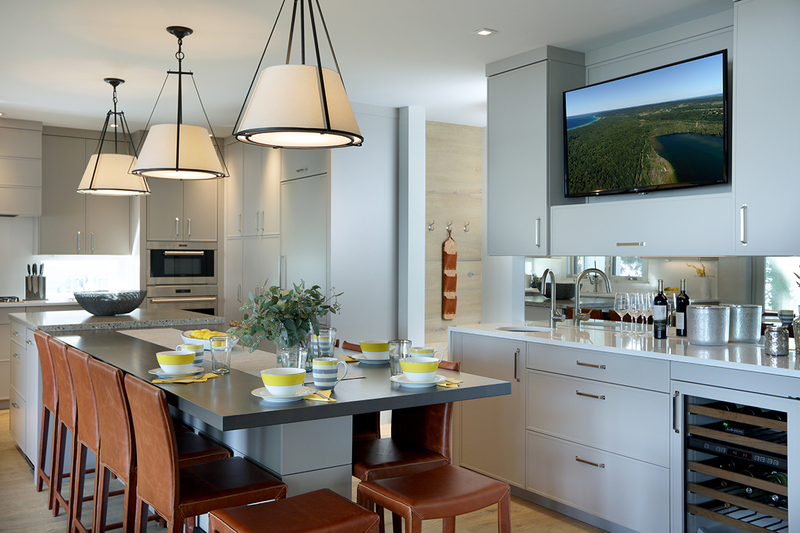 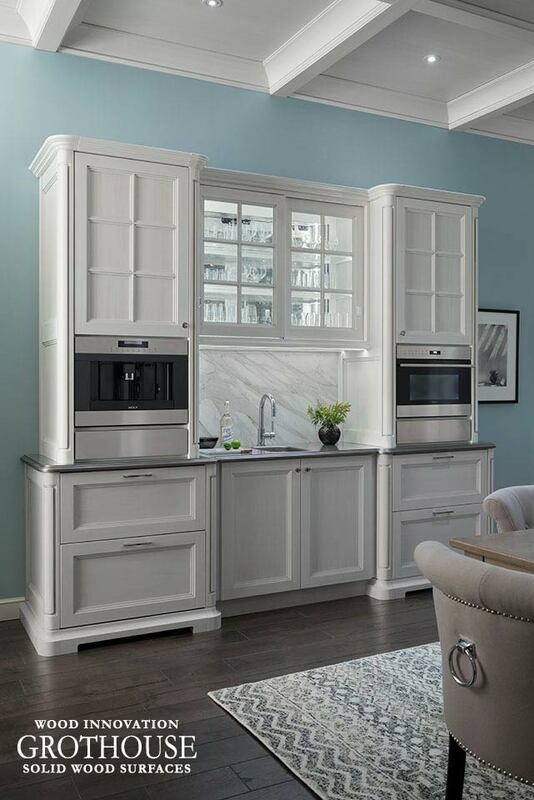 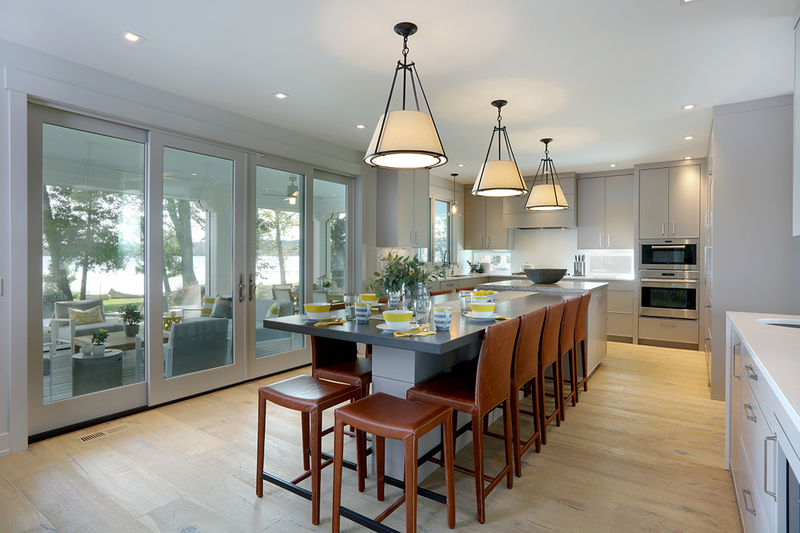 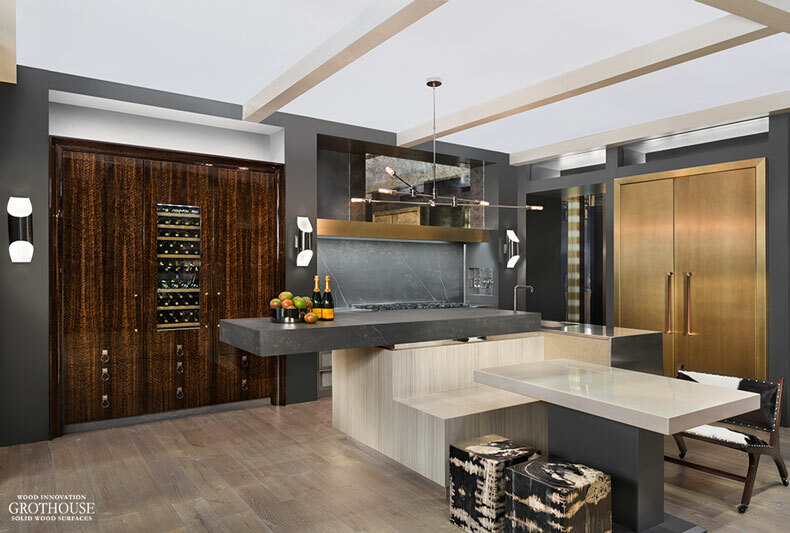 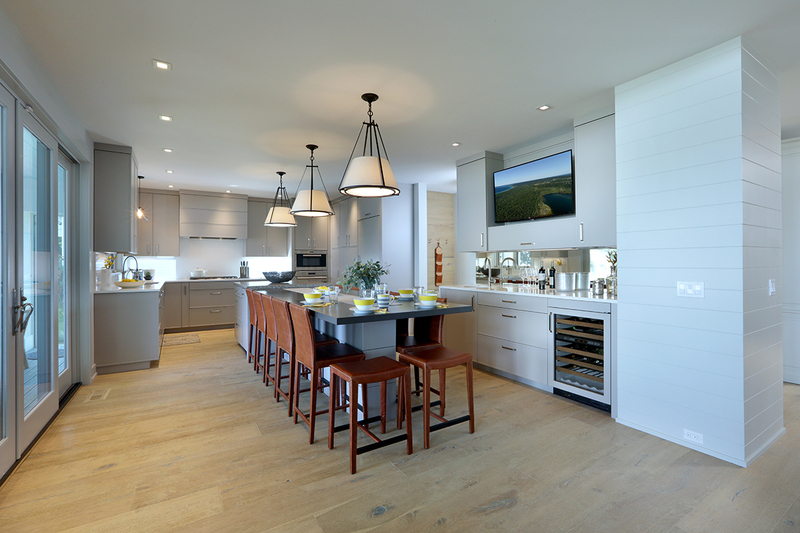 This kitchen was designed by Steven Miller for the 2014 House Beautiful Kitchen of the Year at the San Francisco Decorator Showcase in California. 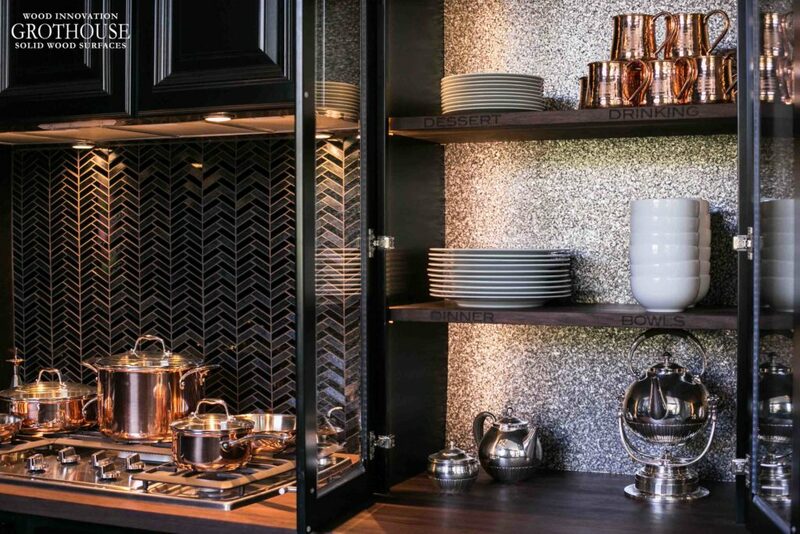 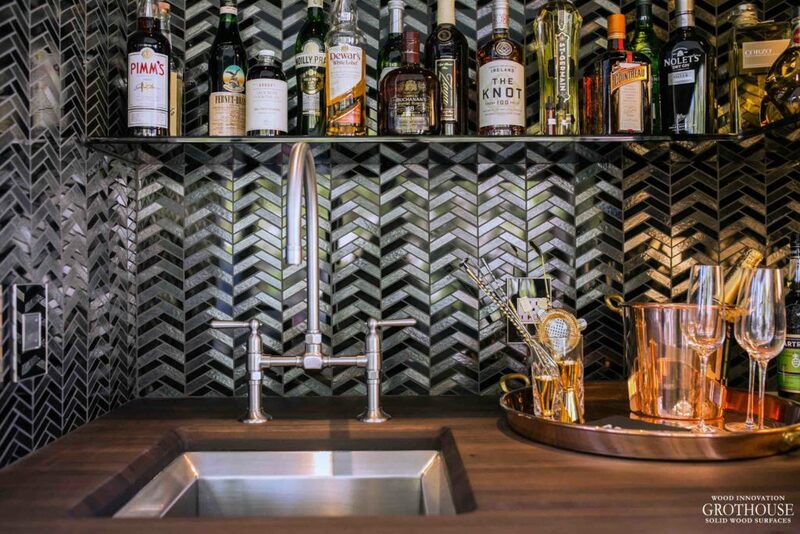 This kitchen also featured an extraordinary backsplash composed of Black and Silver Iridized Chrysalis tiles by Ann Sacks. 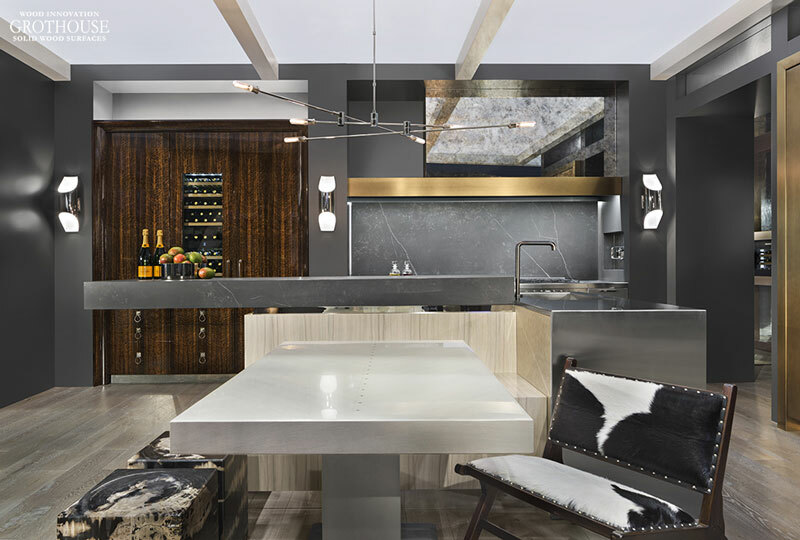 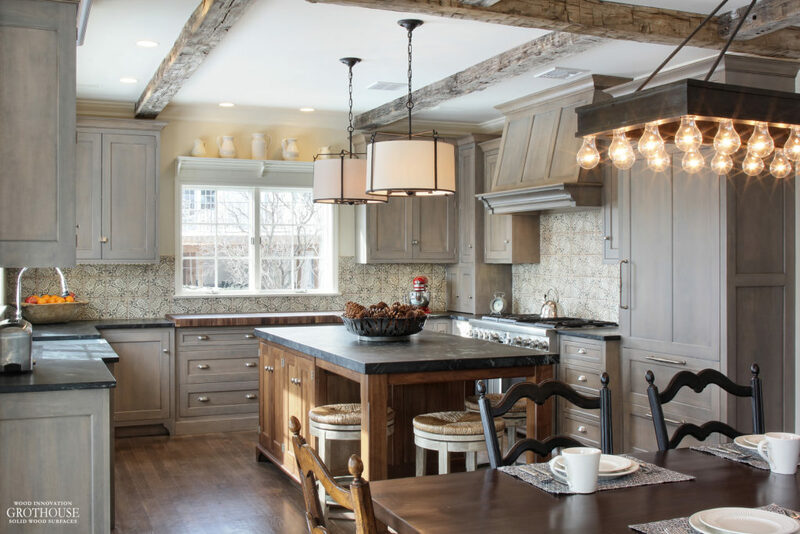 This rustically elegant kitchen boasts a myriad of textures and materials. 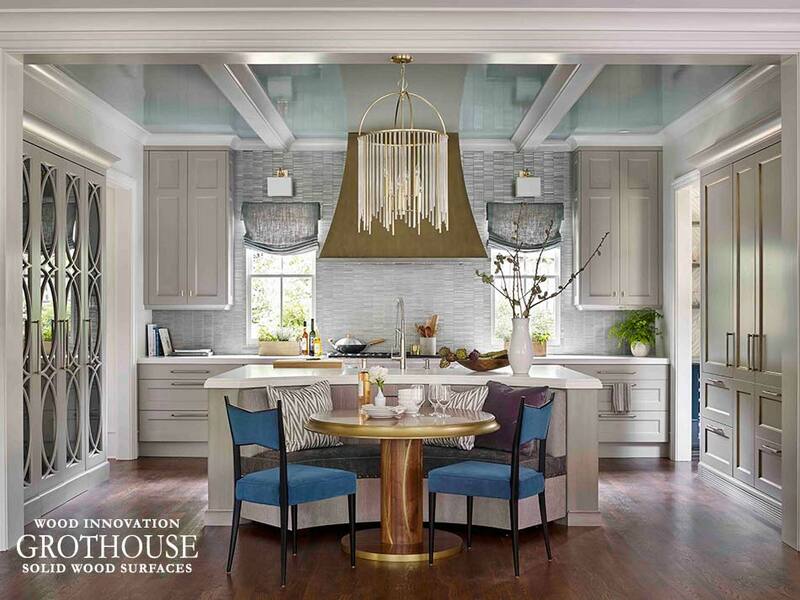 Designed by Peter Cardamone and Lynne Kaltman of Blue Bell Kitchens, a custom Walnut butcher block and leathered quartzite countertops complement the Mediterranean Sea inspired handpainted by Tabarka Backsplash. 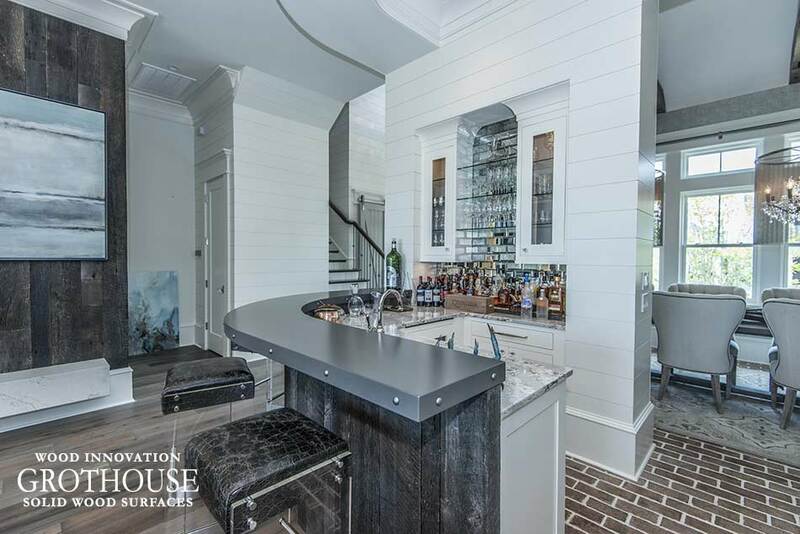 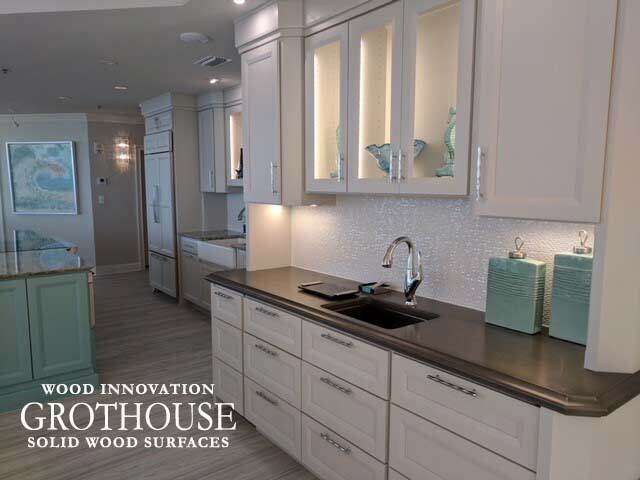 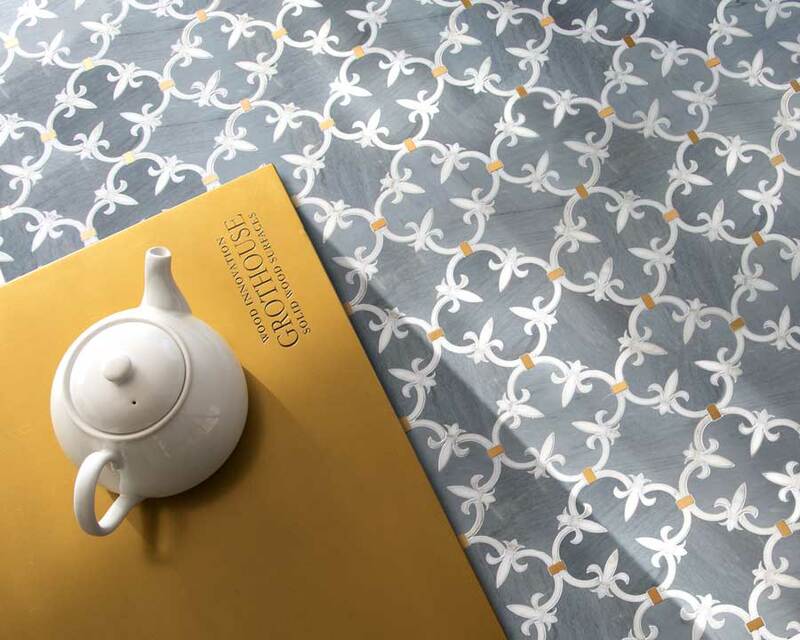 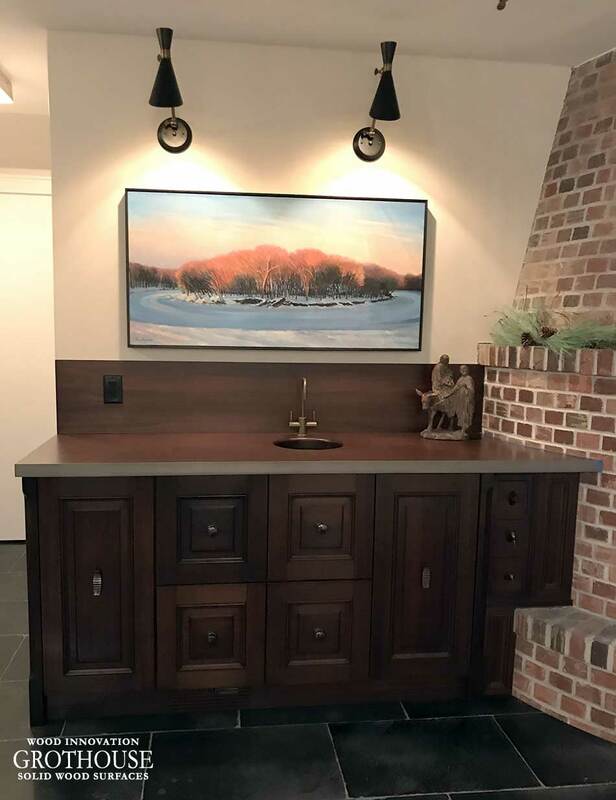 See how other designers use custom counters to complement decorative backsplashes by visiting the Grothouse Countertop Image Library. 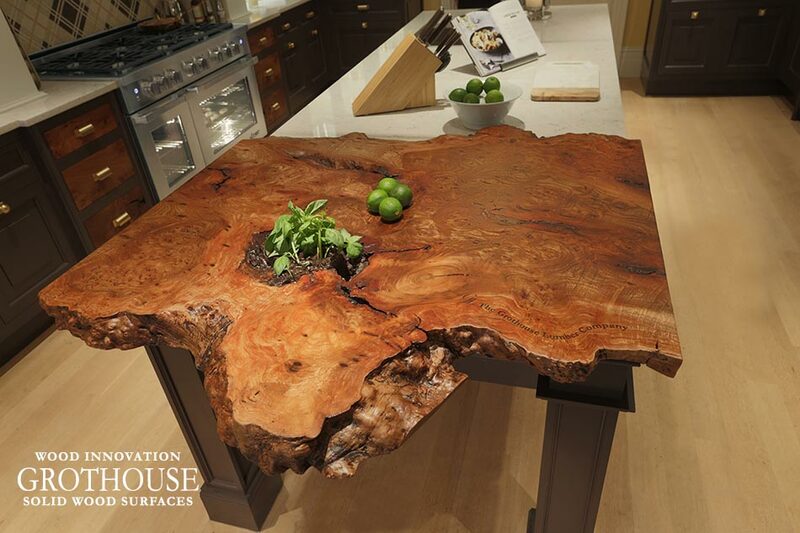 For even further inspiration, follow our profile on Houzz.